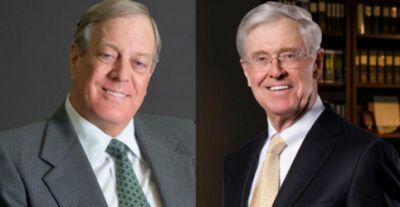 Following recent legislation to restore voting rights to those convicted of specific crimes who have completed sentences and probation, Koch Brothers has announced that they will join Walmart and Target in “banning the box”. Questions about convictions will be removed from job applications. The Company will continue to conduct background checks but obviously will not absolutely exclude any applicant with a criminal conviction. Employment will be evaluated on qualifications, job experience and will take into account past mistakes. This will allow those with an unexpunged criminal conviction a second chance. It is estimated that there are 70 million adults in the U.S. with an arrest or conviction disqualifying them from employment. Economists consider that the exclusion of this segment of the workforce costs up to $60 billion annually. In addition the discrimination against applicants with convictions impacts African Americans who are disproportionately more likely to be arrested or convicted, especially as juveniles on minor drug charges. Employment of those with minor or non-violent crimes is supported by the American Civil Liberties Union and the Center for American Progress. From the perspective of the egg production industry, it is noted that Hickman Family Farms have consistently provided employment to those released from the Arizona Correction System. Many of those joining the company have rendered enthusiastic and loyal service and the Hickman program has reduced recidivism to the benefit of the individual, the company and the economy.